You may receive updates from Independent Jewish Voices Canada, the sponsor of this petition. Neo-Nazi sympathizers are not welcome at Queens Park! 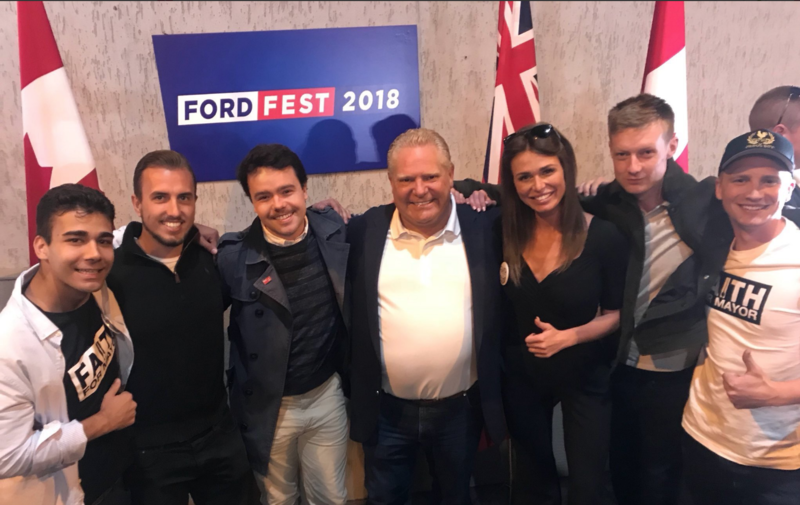 Ontario Premier Doug Ford has recently come under fire for posing in a photo with far-right white supremacist mayoral candidate Faith Goldy. Goldy, who has a well-documented history of islamophobia, antisemitism and ties to neo-Nazi groups, espouses racist anti-immigrant rhetoric and promoted a book that literally advocated for the elimination of Jews. Meanwhile, right-wing Jewish organizations like the Centre for Israel and Jewish Affairs (CIJA) and B'nai Brith Canada, the self-appointed experts on antisemitism, have so far remained silent, even as Goldy herself has attended B'nai Brith rallies. This too is a shanda, and organizations that claim to speak on behalf of our communities have to stop calling out antisemitism only when it is politically expedient. At the time I’m writing this email, Doug Ford has so far refused to distance himself from Goldy and condemn her white supremacist and antisemitic attacks. Tell the Ontario Legislature that white supremacists and neo-Nazis have no place at Queens Park! UPDATE (Oct 1, 2018): The pressure is clearly working. The next day, when challenged in the legislature, however, Ford refused to distance himself from Goldy, and instead attacked NDP MPPs for their support for Palestinian human rights, and for their activism against racist police brutality. CIJA is unsurprisingly fine with Ford's position. After all, he used the opportunity to attack supporters of Palestinian rights. And from B’nai Birth: silence. Enough already with the hypocrisy! IJV echoes calls for Ford to unequivocally denounce Goldy, not on Twitter but on the legislature floor. We the undersigned, supporters and members of Independent Jewish Voices, a grassroots organization that advocates for a just peace for all in Israel-Palestine and against all forms of racism and antisemitism, call upon Premier Doug Ford to unequivocally denounce white supremacist and neo-Nazi sympathizer Faith Goldy. Goldy, who has ties to neo-Nazi groups and has done interviews for the neo-Nazi publication The Daily Stormer, espouses racist anti-immigrant and white supremacist rhetoric and promoted a book that literally advocated for the elimination of Jews. This type of bigotry has no place in Canada and no place in Queens Park.